The Holistic Position on Type 2 Diabetes. – NATURES' FIRST PATH: HOlISTIC MEDICINE. Posted on June 29, 2018 April 3, 2019 by Natures First Path: Holistic Nutrition. There are a number of diseases that have increased in volume; ailments that are now much more common it seems or would appear that many people have come to accept them as a normal part of living these days. In this time more recently, this nation has seen a super increase in the amount of people who are diagnosed with Type 2 diabetes, also known as Adult Onset Diabetes. While this trend is moving faster, and it is becoming more and more common to hear about this, a diagnosis of getting Type 2 diabetes is a serious one. In fact, it is within the top 5 causes of premature death in the United States. For those working in the Holistic Health profession, our position is that Type 2 diabetes is a social disease, stemmed from learned behavior that can be prevented and or reversed through our food choices and lifestyle patterns. Why have the incidents of Type 2 diabetes increased? Are we eating more sugar? Are we exercising less? There are several issues at play when it comes to this and for the most part they are things that we can do about it: all it takes is awareness and the ability to make good health a daily priority. We will talk about solutions that you can apply in your life starting today. 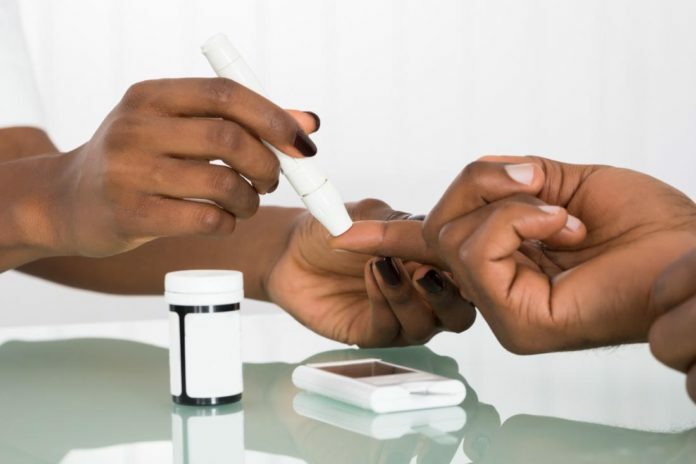 What is the marker of Type 2 diabetes? It is insulin resistance. Or in other words insulin cannot normally make blood sugar enter into the cells, which then makes that spilling into blood stream in what we would know as elevated blood sugar. This is the pattern that make processing glucose and detoxification difficult which eventually leads to all the complications related to Type 2 diabetes. Knowing this and being told that you been diagnosed with Type 2 diabetes, can almost seem like a life long sentence. But is this actually the case? What does the science say? From what we have seen in practice Type 2 diabetes is almost avoidable and at best reversible. Type 2 diabetes is the unfortunate result of dietary and lifestyle choices-this is something that can be changed. One of the best prevention markers and things to be aware of is the amount of saturated fats and animal proteins that you consume regularly. Most people assume it’s the sugar that causes diabetes, but that’s after the fact in these cases. Saturated fats are a major culprit as to why Type 2 diabetes are on the rise. Clogged arteries make it nearly impossible for blood functions to act in the right way. Fats in excess in this area is what breaks down the cells in the muscles and when this happens this can trigger an inflammatory response which then makes it that much harder to process sugars properly. Treating this: it calls for eating more mostly a whole food plant-based diet whenever possible. Nuts, olives and avocados which are healthier fats and other plant foods fight against the effects of harmful saturated fats. Food Reduction is Our True Path. Our bodies function best when it is deprived. Of course, not deprived to the point to painful starvation, but to function at it best. Fasting, ironically has been a great regulator when it comes to restoring health before a diabetes diagnosis. Restoring health is the best way to combat getting Type 2 diabetes, because you are acting against the visceral (belly) fat that keeps excess sugars, toxins and filled space which make it difficult for the blood to purify. After diet, nutrition and how you eat your foods, exercise is the next best marker for Type 2 diabetes prevention. In fact, some may argue that without the right amount or any physical movement at all, that it is the perfect set up for Type 2 diabetes to happen; especially if sweets are eaten a lot. Physical exercise takes all of the elements and cells in your body and ‘cooks’ them so to speak. Meaning that it helps you digests foods better, burns more calories both when moving and when at rest and also creates body memory for you to repeat it over and over again. Eating sweets consistently without physical exercise puts someone at an 83% risk to develop Type 2 diabetes; so movement with better eating just may be the prevention that we are looking for. But you might be asking: “But what if I already have Type 2 diabetes?” Interestingly enough, making the changes as quickly as possible and changing the way you eat and drink can all but eliminate the disease and the medications that you are taking for them. I see this happen about 3 times per week at a minimum: people are curing themselves. What is the main takeaway? It is that we have more of a say when it comes to our health. Not all diagnoses has to be life-long nor a death sentence. Recently I have put together a specific targeted therapy for food addressing Type 2 diabetes. For more information. Please reach out. With more love and health to you and your families.